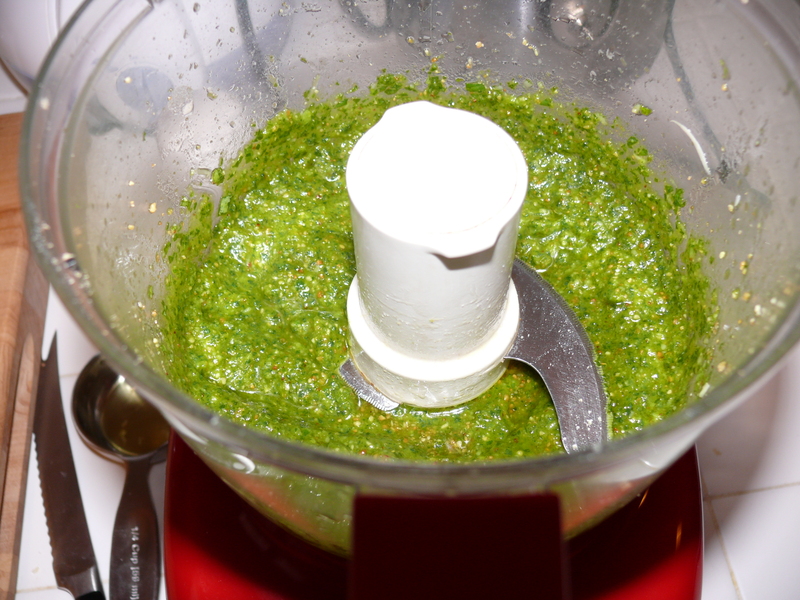 Here is an easy recipe for basil almond pesto that is great as a pizza sauce. I haven’t tried it with pasta yet, but I bet it would be delicious! I was inspired by this recipe on The Little Ferraro Kitchen blog, but used slivered almonds and less olive oil. I’ll post the yummy pizza we made it soon! Toast the almonds and let them cool. 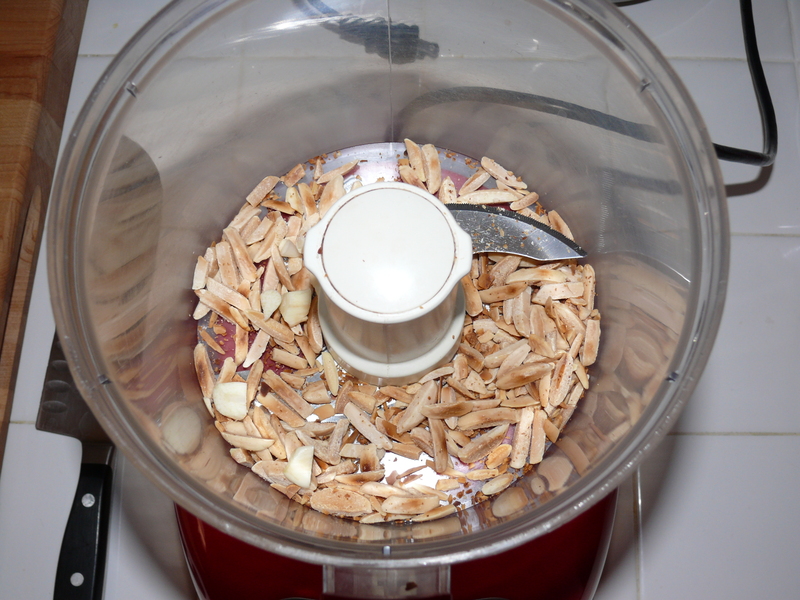 Put the almonds and garlic in a food processor and process until finely ground. 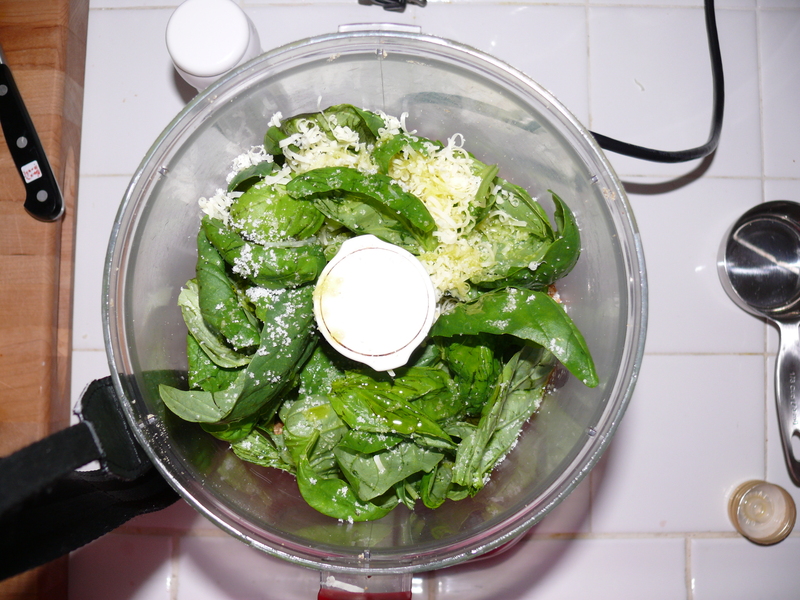 Add basil, olive oil, cheese, salt and process until just blended.